Sacyr Rooney: to keep the incinerator in Hartford operating, where it would remain the second largest air polluter in Hartford County, even with their proposed emissions reductions. Covanta: would close the incinerator in Hartford, and ship waste to Covanta's incinerators in Bristol and Preston, CT. 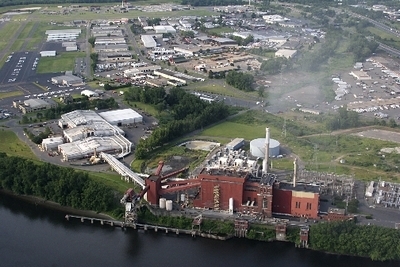 It would require a 4-fold expansion of their incinerator in Bristol, making the Bristol incinerator the second largest air polluter in Hartford County and one of the largest incinerators in the U.S.
Mustang Renewable Power Ventures: would have some recyclables removed from the trash, and the rest would be baled, shipped to be burned in LafargeHolcim's large and very polluting cement kiln in Ravena, NY. Even with the standard pollution controls that all of these facilities have, trash incinerators tend to be much dirtier than coal power plants, even though coal plants have fewer air pollution controls. In fact, trash incineration is the most expensive and polluting way to manage waste or to make energy. The state had the option of choosing none of them. Connecticut Public Act No. 14-94 states that the Commissioner of Energy and Environmental Protection "may" select one of these three final proposals on or before December 31, 2017. Prince George's County, Maryland went through a similar process which evaluated various "waste-to-energy" schemes and chose seven finalists, including two of the three being considered by DEEP: Mustang and Covanta. After much time and money was spent pursuing these proposals, the county abandoned their entire contract process in August 2016, scrapping all of the proposals and moving forward with development of a Zero Waste Plan with much public involvement from community stakeholders. Many residents contacted the DEEP Commissioner to urge him to reject all three proposals and pursue a genuine Zero Waste plan instead. THANK YOU to all who used our action alerts to contact Connecticut officials. Ultimately, the state surprised us and picked Sacyr Rooney, which means continued burning in the environmental justice community of the City of Hartford. We're thankful for having defeated the plans of Mustang to burn in New York, and will be working with Albany area officials to stop waste burning there for good. We're also thankful to have helped stop Covanta's plan, and to now have many residents in Bristol, CT paying attention to the largest polluter in their city, Covanta's Bristol incinerator. We'll be continuing to support the Connecticut Coalition for Environmental Justice in their effort to stop the incineration aspect of the Sacyr Rooney proposal.